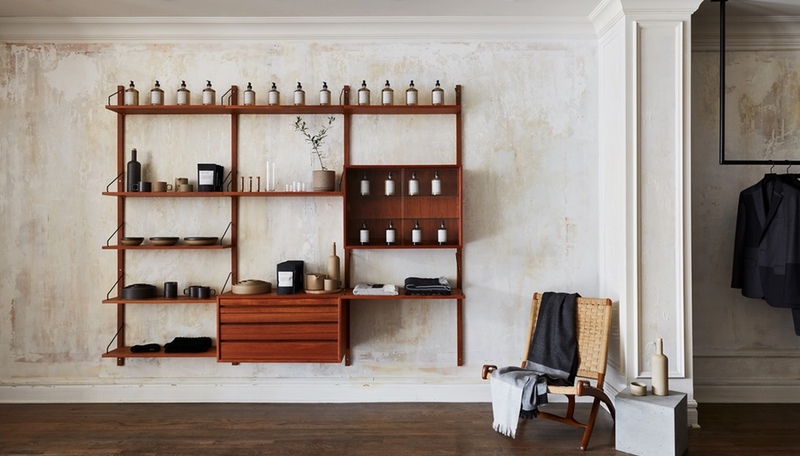 The Toronto firm has reenergized a rough-hewn post-and-beam loft in the city’s downtown core to create ASK Academy, a teaching salon that also sells hair products and hosts corporate events. 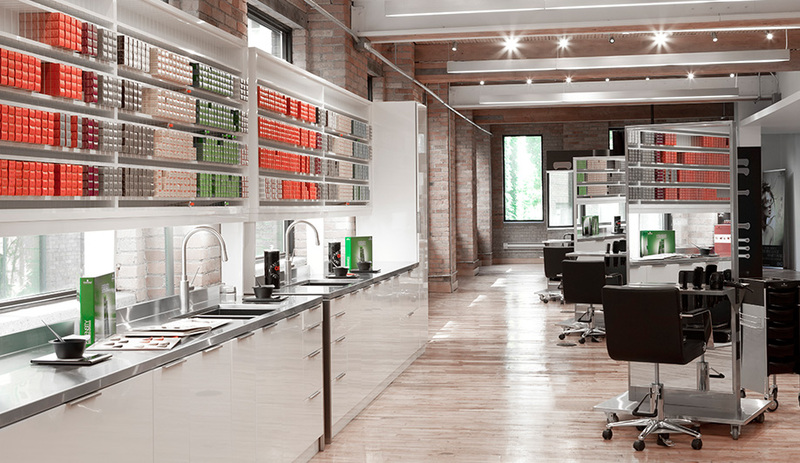 The client, Schwartzkopf Professional, is the maker of one of Germany’s largest hair colouring and styling products, and its ASK Academy training locations worldwide are distinguished by clean lines and soft, flattering lighting. 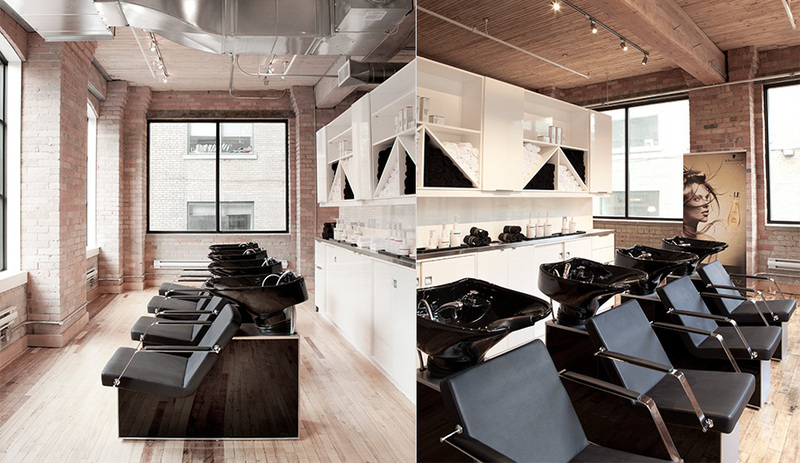 This isn’t the first Toronto salon for Schwartzkopf. The new downtown location, on the second floor of a brick, mid-century building in the Fashion District, replaces a previous out-of-the-way school closer to Pearson International Airport. 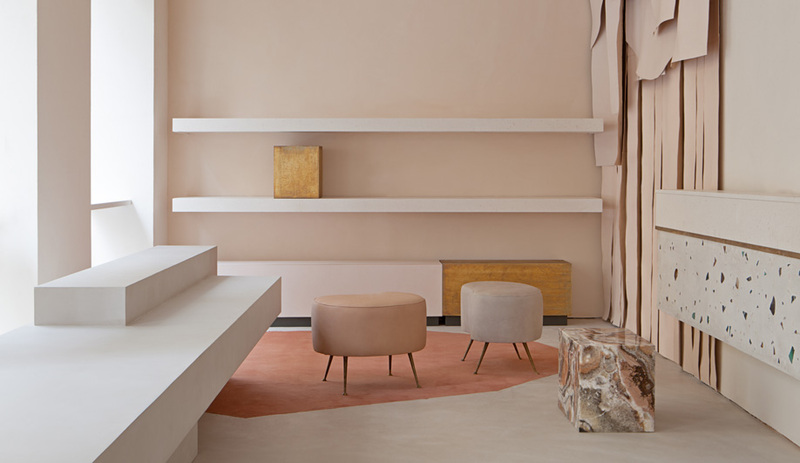 Gow Hastings wanted to retain the neutrality of ASK Academy’s other locations while capitalizing on the loft’s industrial feel. 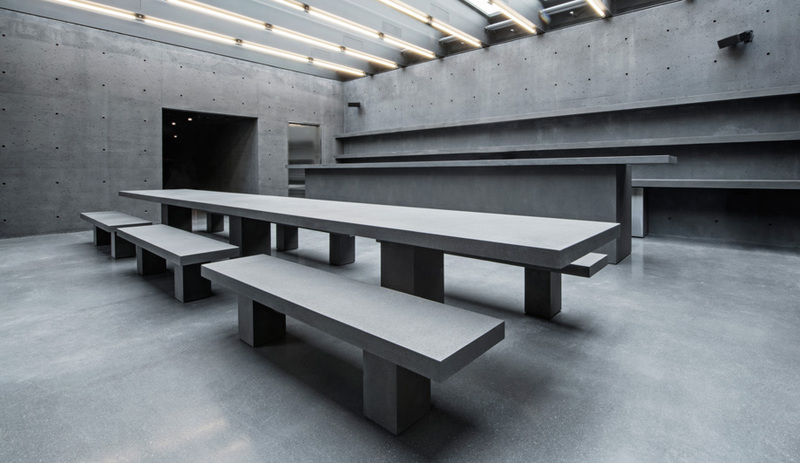 A major challenge was how to create various interior environments – including a reception area, washing and styling stations, colour and cutting studios, classrooms, meeting and work areas, a student lounge, and a space for hosting events – all within a 670-square-metre floor plan. Flexibility was key. The lounge, finished in sleek white and steel, doubles as the events area, while studios, classrooms and work areas are located along the periphery and defined by oversized doors that can be rolled open to eliminate barriers when needed. The single-storey floor plan admits light from a bank of windows along a west-facing wall. Gow Hastings imbued the academy with a sophisticated atmosphere by leaving the post-and-beam ceiling exposed, and using sections of crisp, white drywall and custom MDF millwork to break up the texture of the red-brown brick. 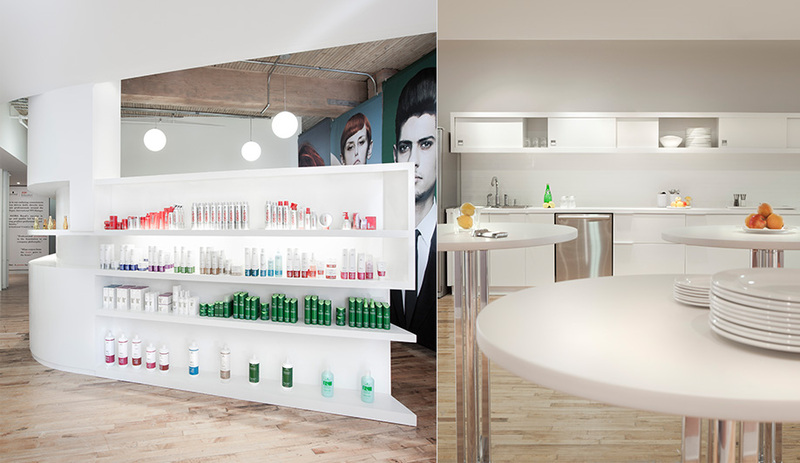 The drywall sections also help direct traffic from reception through to interior to the colour bar, where hair colouring products are used. 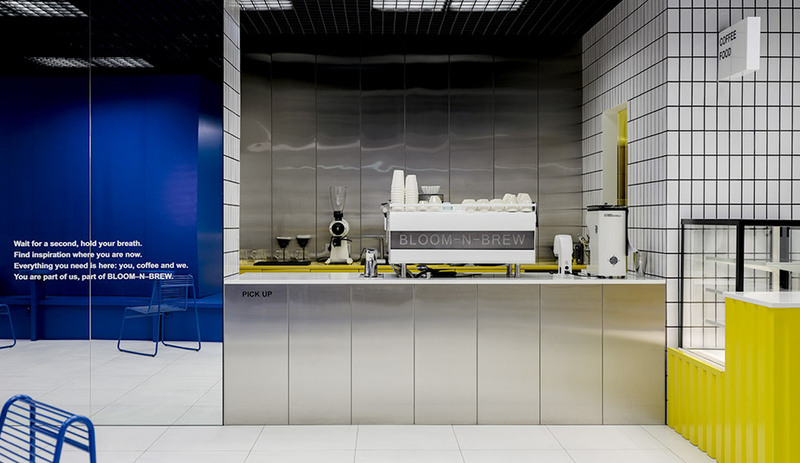 Throughout, stainless steel shelves display Schwartzkopf’s products using the brightly hued packaging as a design element that also projects the signature colours onto the street below. It’s an understated renovation for sure, but its strength is in the subtle gestures that don’t mask the warm appeal of original hardwood flooring and exposed brick. ASK Academy is located at 171 John Street, Toronto.